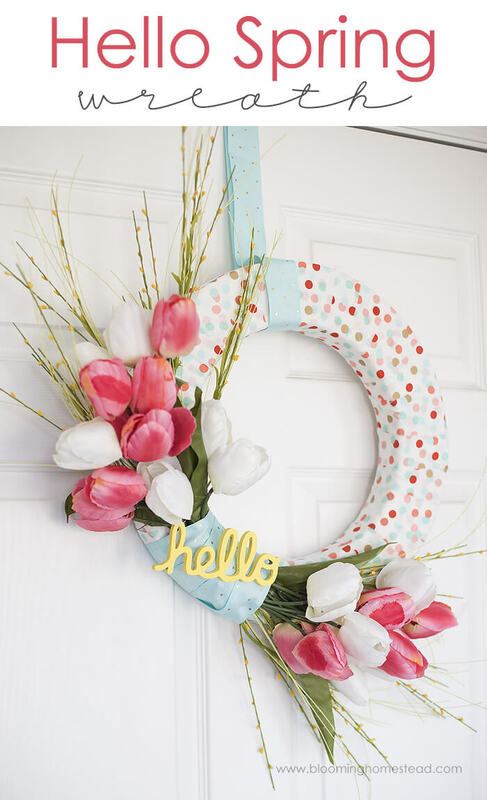 When winter finally gives way to spring, it’s time to freshen your front door with a colorful wreath. This slideshow contains a wealth of ideas for the beginning crafter and anyone with an eye for style. These designs range from sweet and old-fashioned to bold and modern. Many have special additions like birds, eggs, and butterflies. The farmhouse trend is represented here, as well as the popular succulent theme. Most of these wreaths use silk flowers available at any craft stores, but there are a few notable exceptions. One wreath features strips of pretty linen tied to a wreath frame. Another wreath is composed of natural green peas glued to a foam wreath. Many of these wreaths are accented by written greetings, whether in wood or written on a cute little chalkboard. Words add to the visual interest of the wreath while making it stand out. Most of our wreaths won’t take too much time to construct, though some require a little more patience and skill. Use our fresh and unique ideas to brighten your door and make a positive impression on your guests. This gorgeous spring wreath combines silk hydrangeas and peonies for a naturally bountiful look. The wreath is done in shades of pink and white. The combination of the exposed rustic grapevine wreath and the blossoming flowers makes a nice contrast. This wreath can be done inexpensively with materials from the dollar store and discount store. 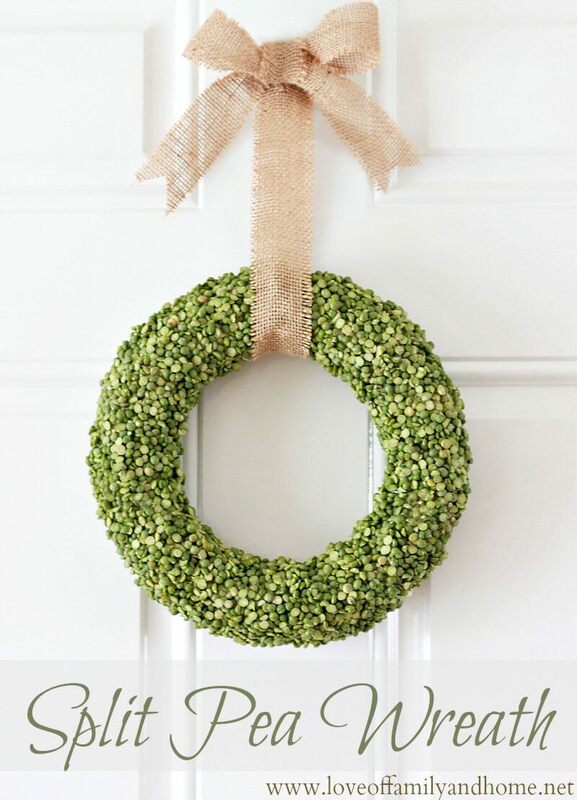 This sweet wreath is made from a straw wreath form wrapped with sheet moss. Using natural moss rather than the dyed variety keeps the wreath looking nice even if it gets wet. The randomly wrapped twine gives the wreath a rustic look. Hang a tiny yellow birdhouse in the center for a cute and fun touch. This wreath combines several design elements. The base is an upcycled window frame with handy binder clips. In the front of the window frame hangs a wooden hoop. A scripted “hello” sign is glued to the hoop. Lovely leaves and peonies complete the look. This wreath combines understated style with spring freshness. 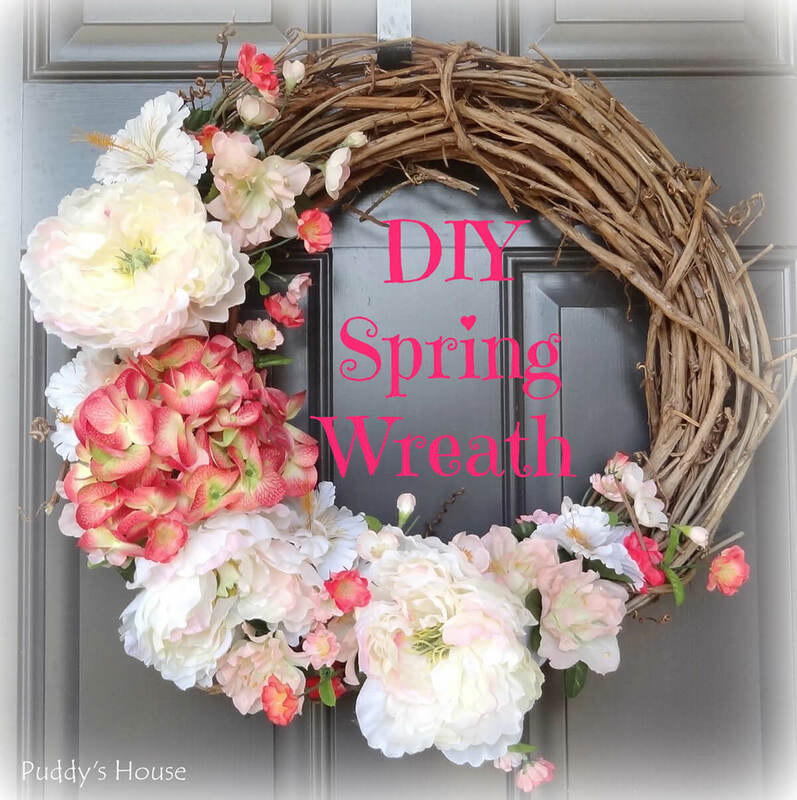 This fun and fresh spring wreath is in the shape of a daisy. The petals and leaves are made from green and white poly burlap, cut and folded into bows. The bows are secured on the wreath form with pipe cleaners. To make the center of the daisy, the burlap is rolled into a tight rosette. This design can be used year round because the wreath is cleverly designed to be interchangeable. All of the various design elements come off and can be stored separately. The spring version of this wreath has a fantastic spray of lavender and forsythia for a burst of vivid color. 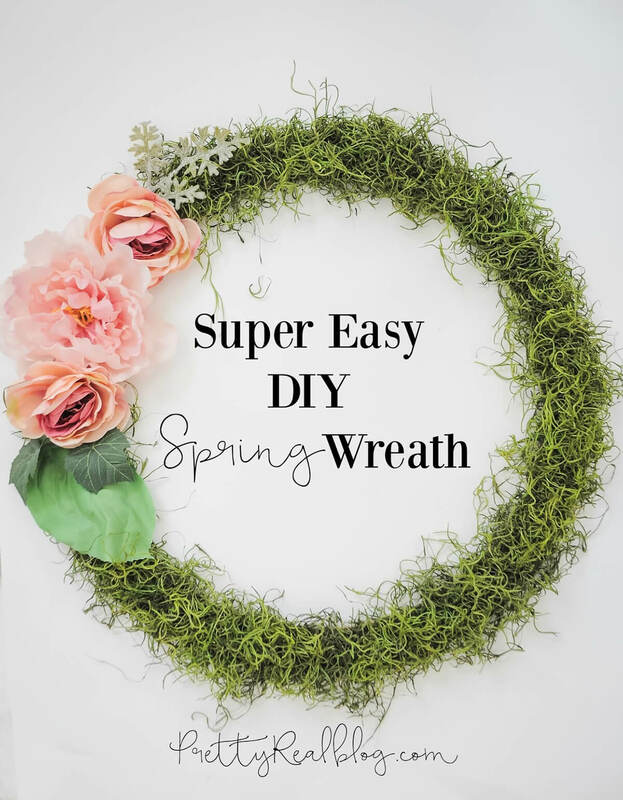 Using an embroidery hoop as the base, this easy DIY spring wreath is a nice alternative to the classic design. Pink and white striped string is stretched across the front of the hoop, and the letter flags are threaded on. The wreath is completed with a few white and burlap rosettes. This wreath gets its natural color from split green peas. Easily available at the grocery store, split peas are glued all over the wreath form. It looks like it would take a lot of time and effort to get the peas glued on properly, but the method is simple. Coat the wreath form with glue and dip it in a pan full of peas. 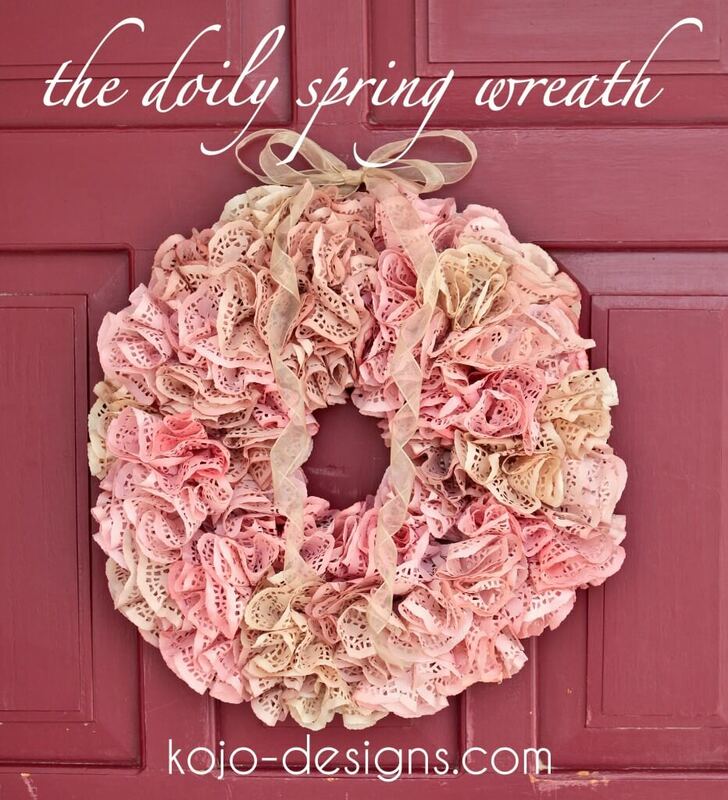 Pink and cream colored doilies make a charming old-fashioned spring wreath. First dye the white doilies in whatever colors you wish. The example wreath was done with pink food coloring and tea. Pinch and fold the dyed doilies into ruffles. Secure them on a cardboard wreath form with hot glue. Add a bow to the top. 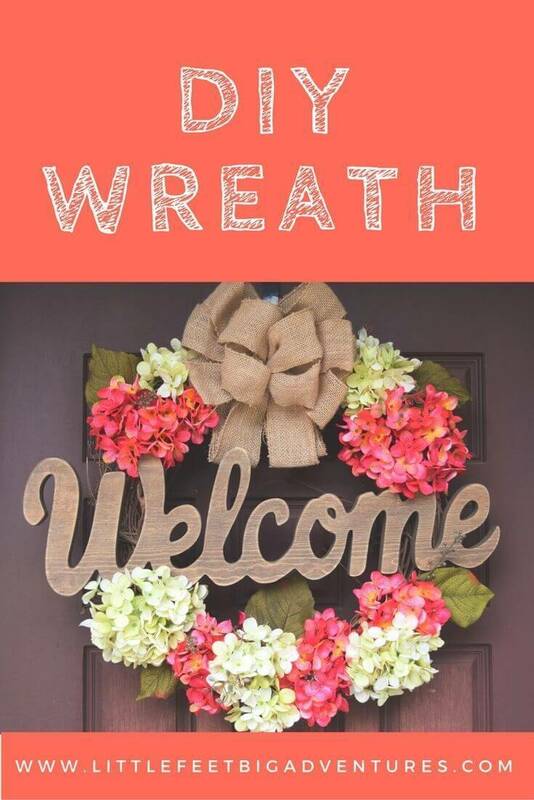 This welcoming wreath makes a bold statement on your front door. With a classic grapevine wreath base, secure the welcome sign with picture hanging wire. Fill in the wreath with blooms of pink and white hydrangeas and leaves. Use the ruffled burlap bow to cover the door hanger. A fresh and original spring wreath is made of a boxwood garland and sweet butterflies. Simply wrap the boxwood garland around the wreath form, keeping it even for a polished look. Secure tiny butterflies and silk baby’s breath to the wreath with wire. Add a wide pink ribbon hanger for the finishing touch. 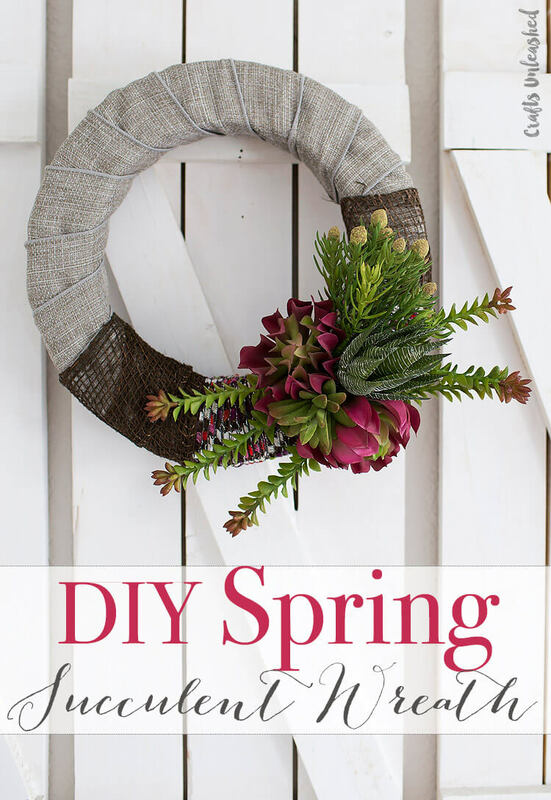 Natural spring colors set this easy DIY wreath apart from the crowd. The grapevine base is covered with muted colors of silk ferns, leaves, and moss. A bouquet of white peonies sets off the bottom of the wreath. This wreath is perfect for people who have a more subdued sense of decorating style. 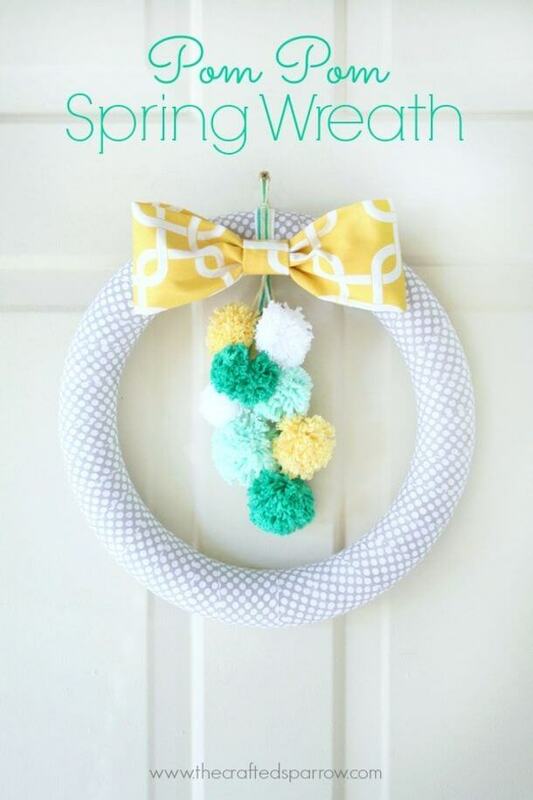 Fresh and fun polka dotted ribbon covers this spring wreath. On top of the polka dotted ribbon, silk tulips, greenery, and grass are secured. The bouquet is tied with a blue ribbon wrap and a “hello” sign. 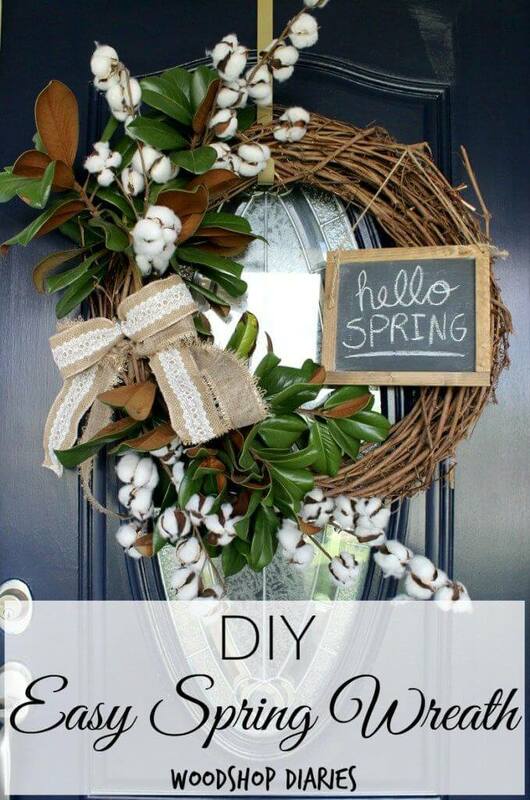 This wreath is simple and quick to put together, and will be an eye catching accent to your spring décor. A unique wreath form makes this creation stand out. It is built on a galvanized piece that looks like a tire. The peonies, daisies, hydrangeas, and berries fill the interior of the wreath and spill out over the front. This wreath is incredibly easy if you can find the metal piece. Try the home craft store. 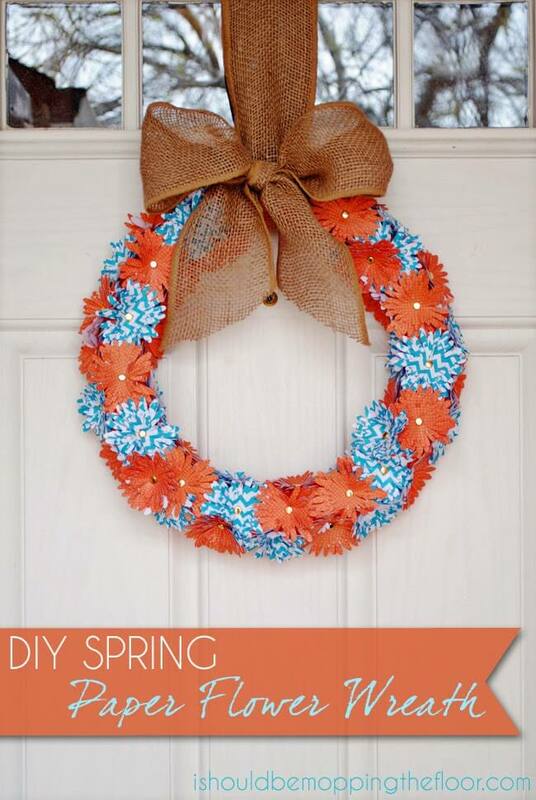 Pom poms make a clever addition to this unique spring wreath. The foam wreath form is wrapped in patterned gray and white ribbon. Turquoise, mint green, yellow, and white pomp oms hang from the top of the wreath. A muted yellow bow completes the look. This wreath makes a nice change from floral designs. Felt flowers combine to make this oval picture frame wreath stand out. The felt flowers are simple to put together. Cut felt in a spiral and wind it around, hot gluing as you go. You can give the flowers different form and texture by cutting waves into the felt. Glue the flowers on an upcycled photo frame. Succulents are a popular design element for 2018. This spring wreath combines faux succulents with tiny flower pots to create a stand out look. The pots can be wired onto the wreath form for a secure connection. Fill the pots with floral foam balls. Cover the foam with moss. Pin the faux succulents into the floral foam and moss. 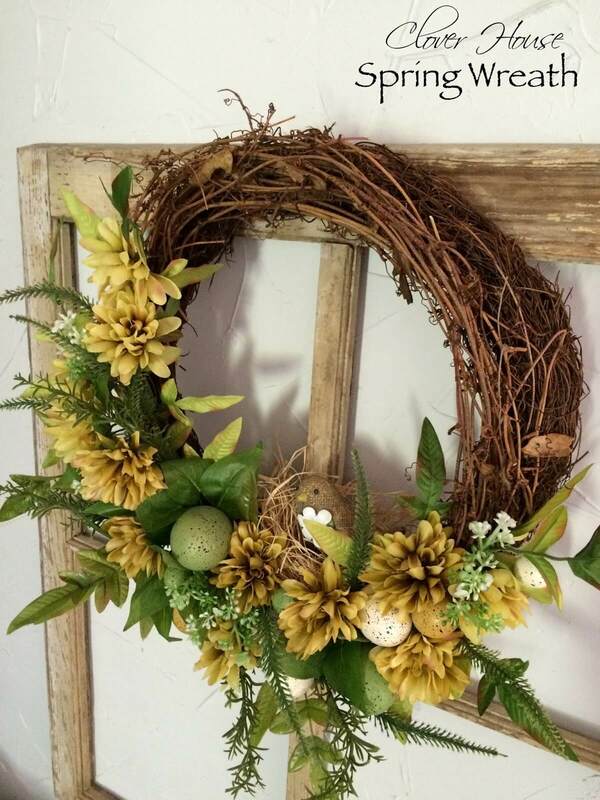 A precious burlap bird sits in the wild grass and flowers of this rustic wreath. Greenery, small white flowers, and eggs fill in the bottom part of the wreath. This is an easy project because it reuses previously bought wreaths and supplies. It would be simple to find the materials to create this wreath from scratch. 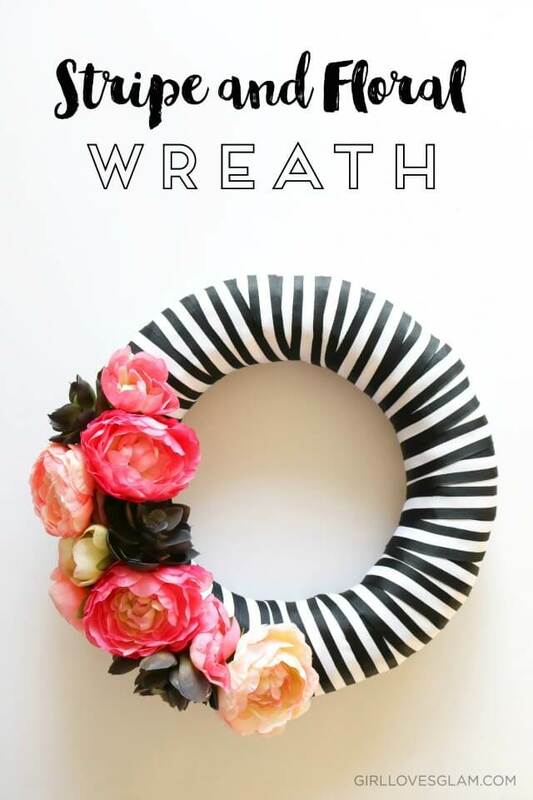 A bold spring wreath starts with a form wrapped in black and white striped ribbon. Pink and white silk blossoms are set off with dark faux succulents. This wreath makes a statement and will surely be noticed by your family and guests. You could use the same method to create any type of look you wished. 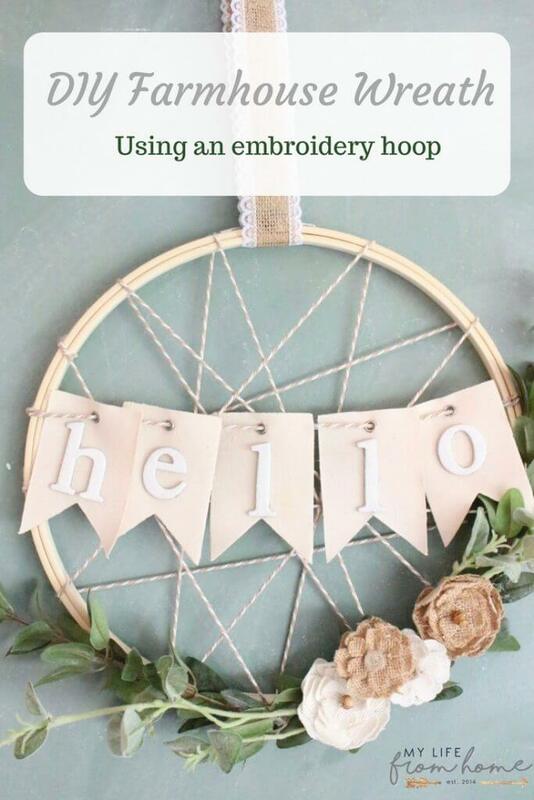 A super easy DIY wreath project begins with a large embroidery hoop. Mixed wildflowers and greens give this wreath a lush and unique look. The flowers are done in shades of pink, lavender, and white. All you need to do is wire the flowers to the hoop and tie on a wide ribbon hanger. This natural looking spring wreath uses the fresh green of moss and a spray of pink flowers and greens. The moss is easy to work with. 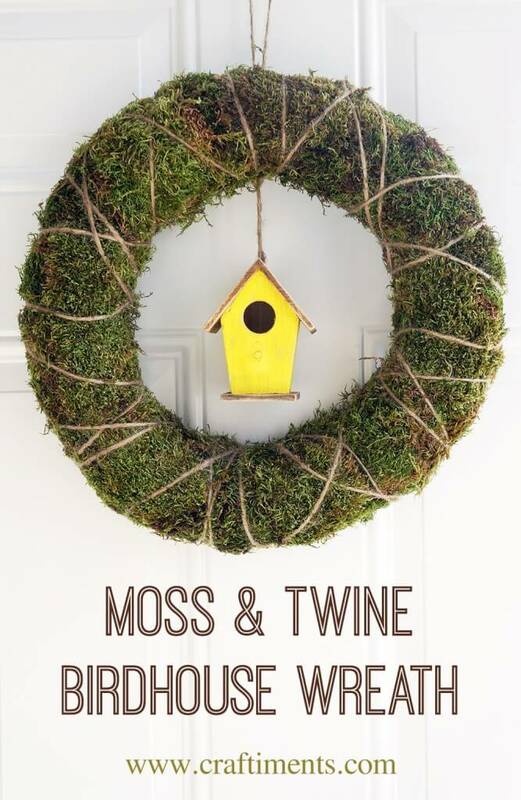 Simply separate the moss and use spray adhesive to secure it to the wooden wreath form. This wreath is so easy, anyone can put it together in one afternoon. Cutout flowers with stripes and polka dots give this wreath a fun and funky style. For the flowers, use your paper cutting machine or a punch. Put the stacked flowers together with a brad and use the pointed end of the brad to secure the flowers to the wreath form. Add a cute burlap bow for a finishing touch. 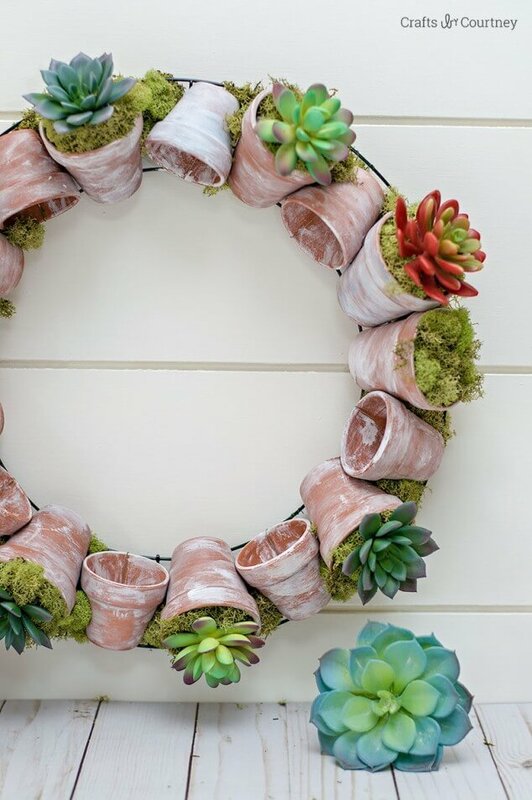 Succulents are on trend right now, and this spring wreath makes good use of the faux variety. First wrap a wreath form with linen or burlap ribbon. Add a darker color burlap ribbon to the lower third. Combine your faux succulents in a pleasing arrangement and secure them to the wreath form with floral pins. This clever wreath uses cones of card stock that have been rolled and glued. Cut paper into squares and use hot glue to make them into a cone. Use a range of colors to give your wreath a natural look. Place the cones on a cardboard circle and glue them in rounds starting from the inside. 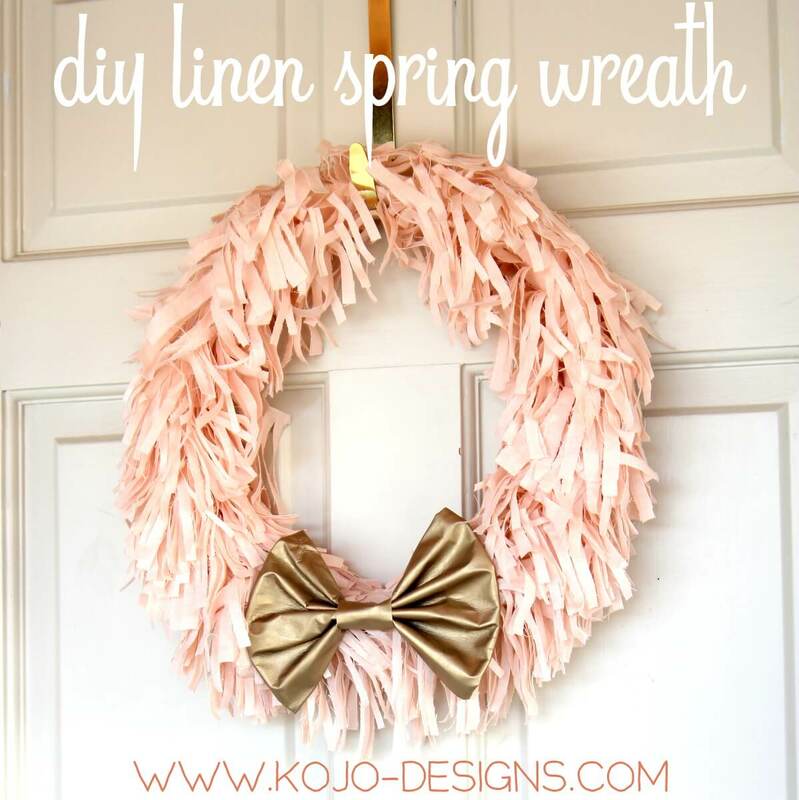 This fun, shaggy spring wreath is made from strips of linen that have been cut into a fringe. Wrap the linen around the wreath form for a unique look. This would be an easy project for anyone to do, especially if you have a rotary cutter to trim the strips of linen. Add a gold bow. 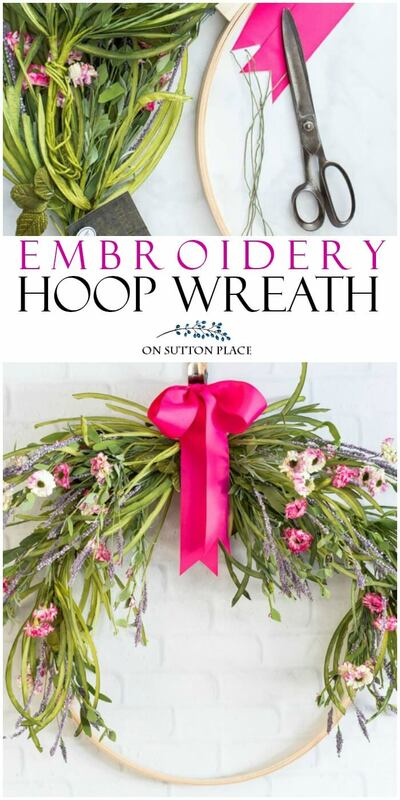 Try making a modern style wreath with an embroidery hoop. This wreath is so lovely because the flowers are carefully chosen. Peonies, spider mums, and palm greenery take center stage. You can choose your favorite blooms at the craft store and make a version of this wreath for your own front door. 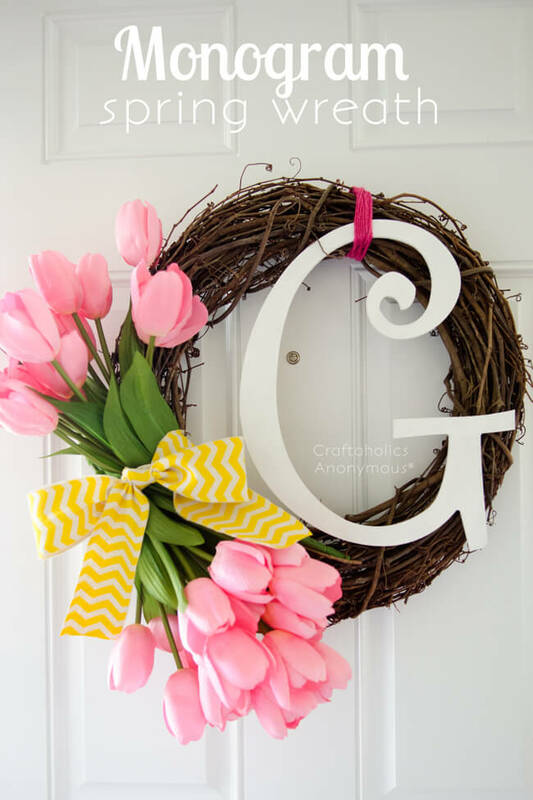 This super easy spring wreath starts with a grapevine wreath form, an oversized initial letter, and a bunch of pink faux tulips. Paint the wooden letter white if necessary. Hang it on the wreath form with yarn, keeping it a little off center. Add a double bouquet of tulips to the other side and tie with a striped yellow bow. Cotton bolls and shiny rhododendron greenery make this wreath exciting. The wild spray of cotton bolls on one side contrasts with the simplicity of the chalkboard wreath on the other side. On the chalkboard, you could write any spring greeting you wish. Add a burlap and lace bow to finish off your creation.